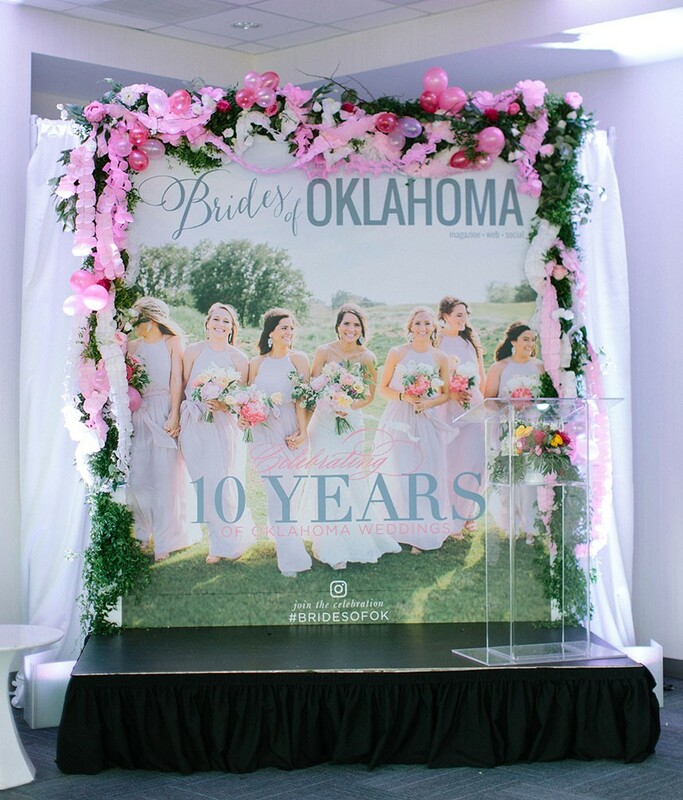 The past month has been an absolute whirlwind since the release of the 10th Anniversary issue of Brides of Oklahoma. We still cannot believe we get the opportunity to work with such talented creatives across the state every single day! 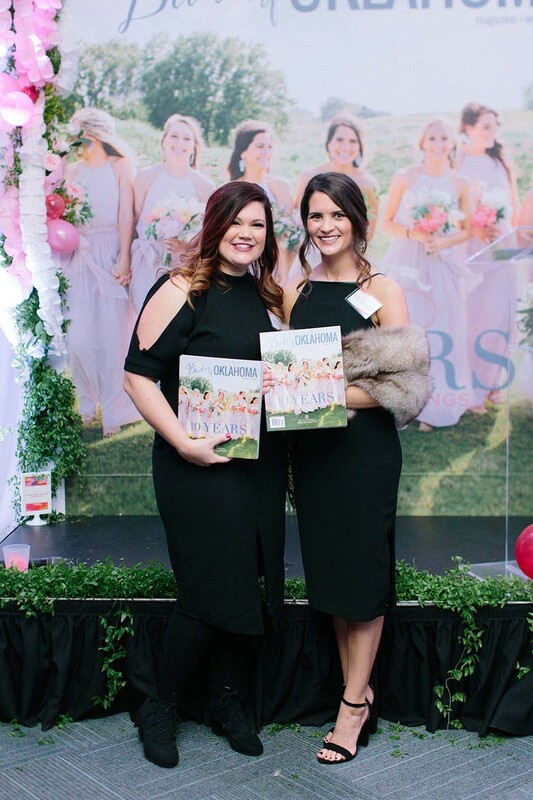 Ten years ago, publishers Kami Huddleston and Ashley Murphy started this mission at their dining room table; today the magazine is the most coveted local wedding resource for Oklahoma brides. 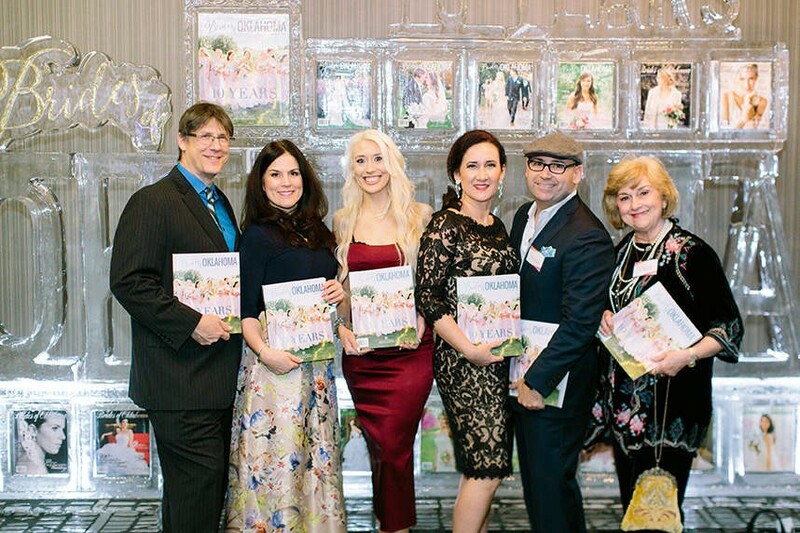 We thought that the 10th Anniversary issue release should be a celebration of the past decade, every wedding we’ve seen and the amazing wedding professionals behind them. 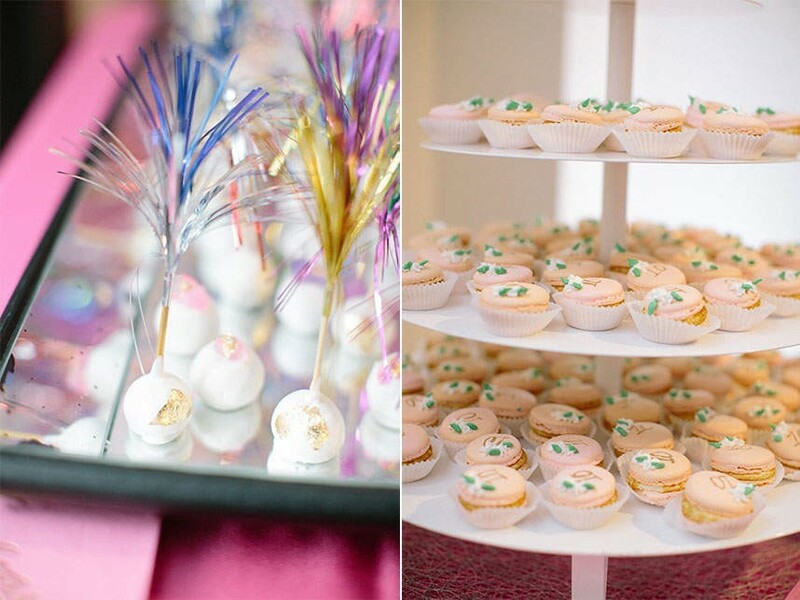 When we set out to throw a birthday bash unlike any other, we knew we couldn’t do it alone! We enlisted the help of a few of Oklahoma’s finest and they certainly did not disappoint! 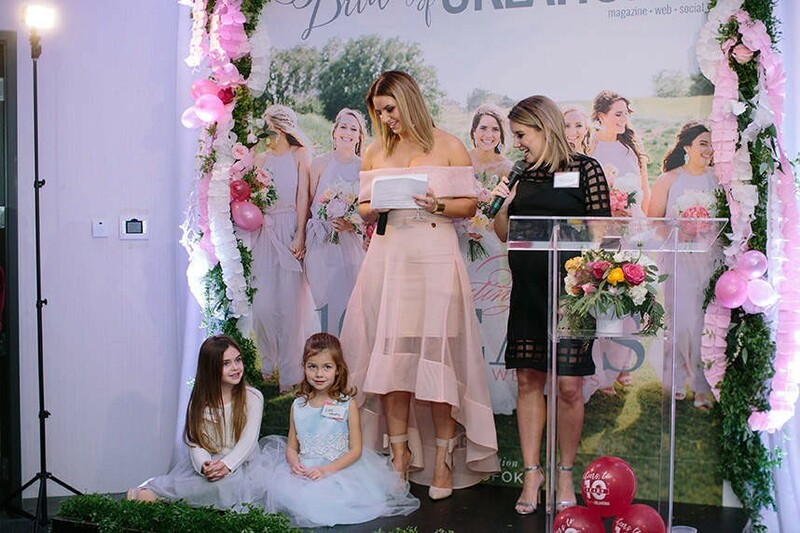 From day one, Camden Chitwood with Emerson Events brought her incredible attention to detail and over the top execution to the table to design and style the 10th Anniversary event. 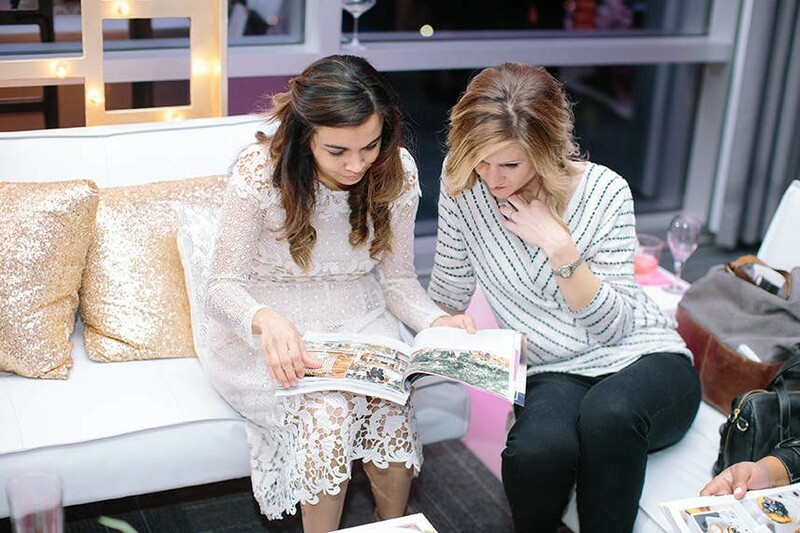 This woman truly is a wizard when it comes to event design. Want to wow your peers? 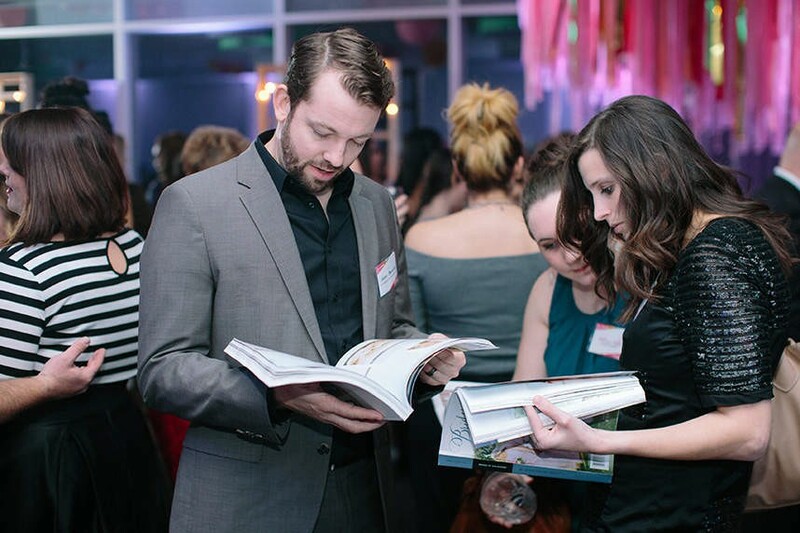 Emerson Events will know exactly how and then some! 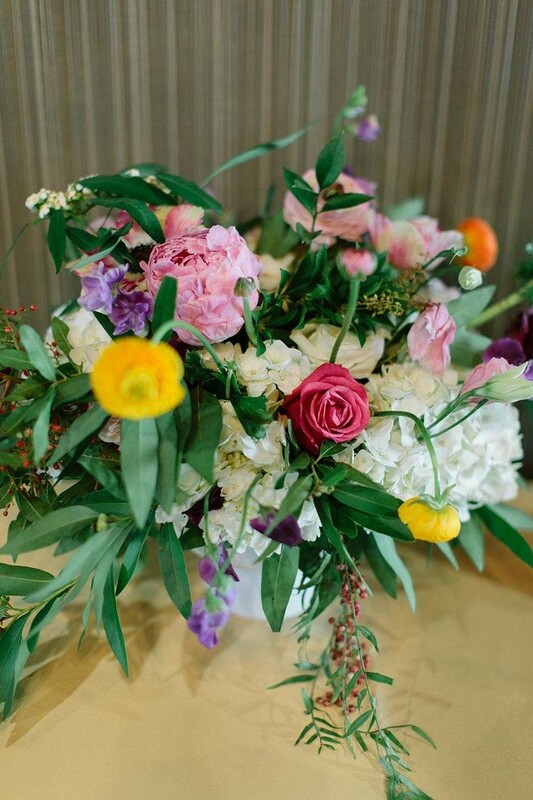 Not only did she execute every detail of the event, she provided killer florals to bring pops of color to our space! 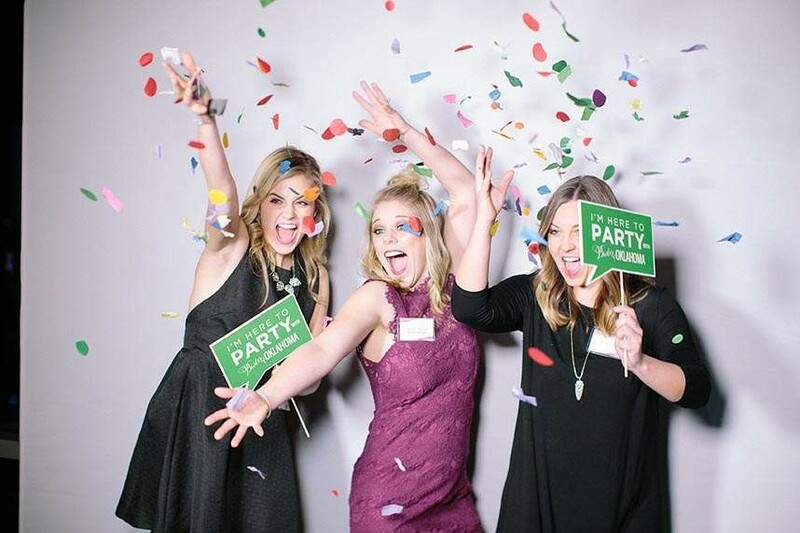 We can’t wait to see what Emerson Events does next, we know it will be amazing! Every great party needs a host! 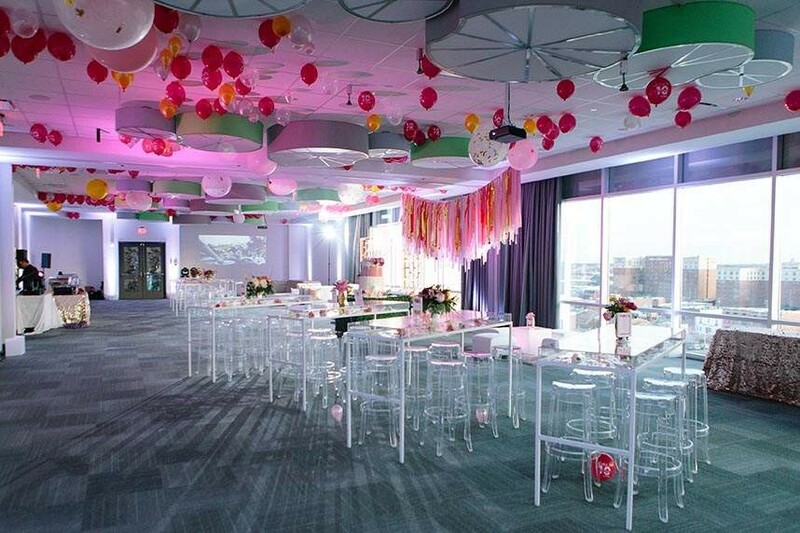 The dedicated team at Aloft Hotel Downtown OKC stepped up and served as host venue and caterer for our birthday party. With over 9,000 feet of event space to utilize boasting gorgeous views of the OKC skyline, we knew this was the perfect place. Spanning the entire top floor of the hotel, the fun started as soon as you stepped off the elevators. 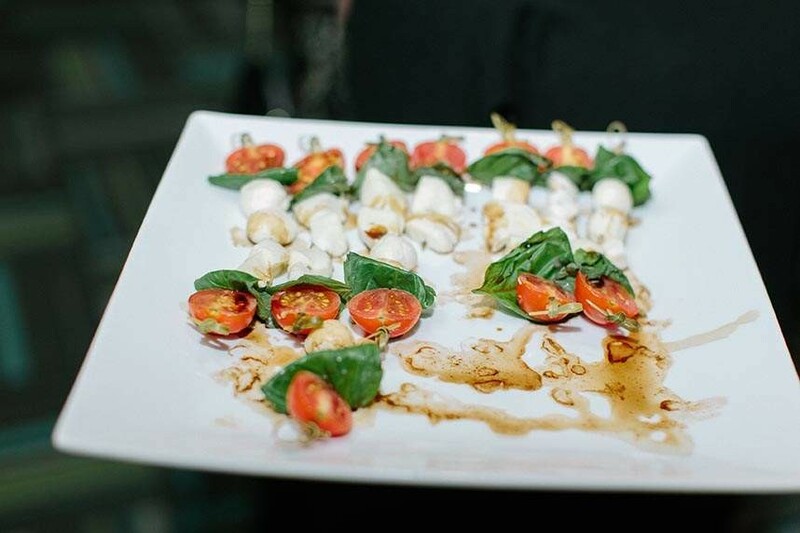 Aloft Hotel Downtown OKC also catered the event and working with their creative chef and catering team was a dream. With a menu of mini chicken and waffles, a mac and cheese bar, build your own tacos and pulled pork sliders, our guests ate until their hearts were content. 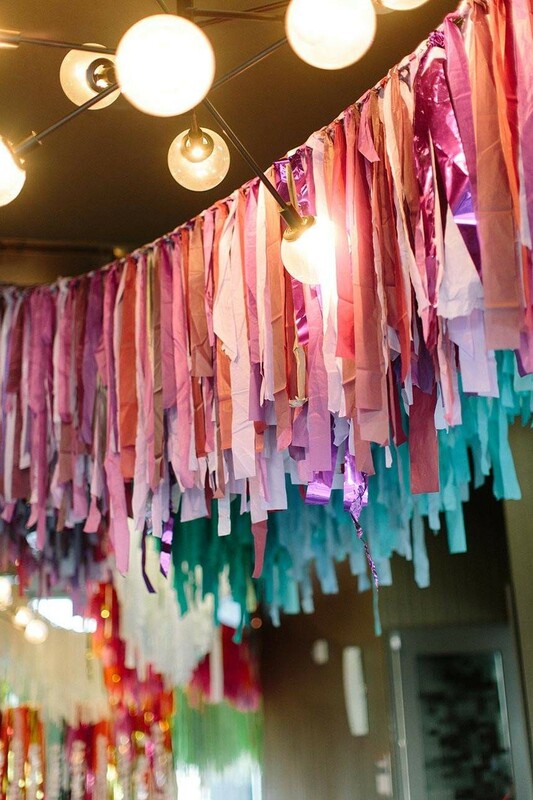 The Color Condition, a boutique installation company, decked our space out in beautiful, vibrant streamers, setting the mood for celebration. 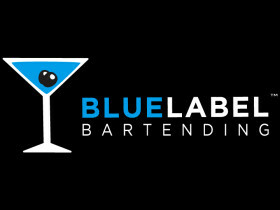 We cannot imagine this event without their involvement, as they really took it to the next level. We are so thankful for their creative vision! 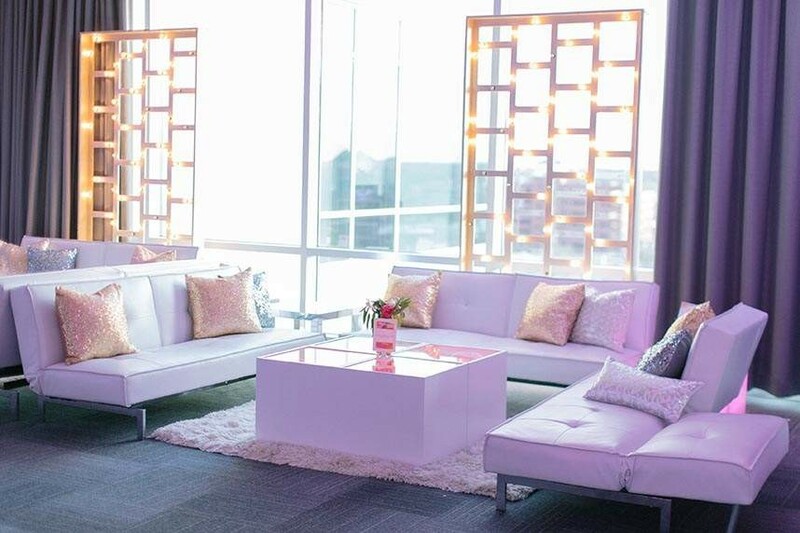 Along with the streamers, we filled the event space with posh lounge furniture, swanky tables and stunning linens. 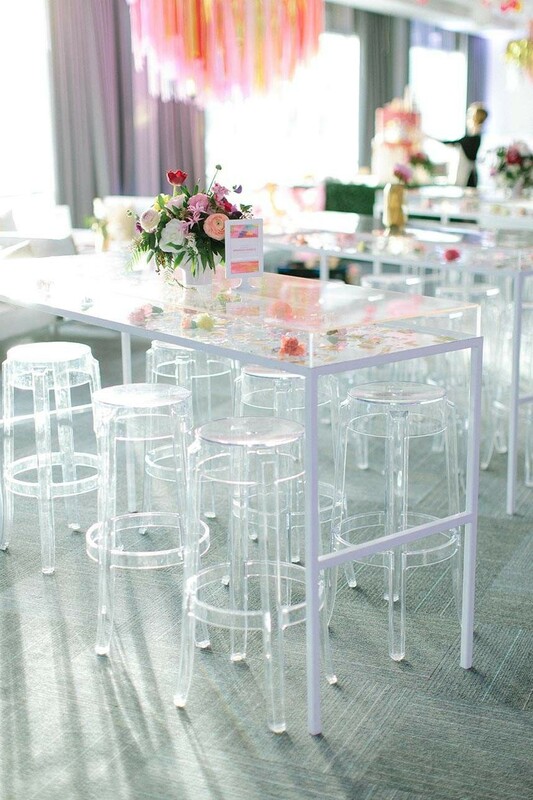 We have our incredible rental companies to thank for this: Marianne’s Rentals for Special Events, Mood Party Rentals and Party Pro Rents. Zach Downing with Empire Lighting made sure the atmosphere was perfect when our guests arrived, setting the mood to party mode. 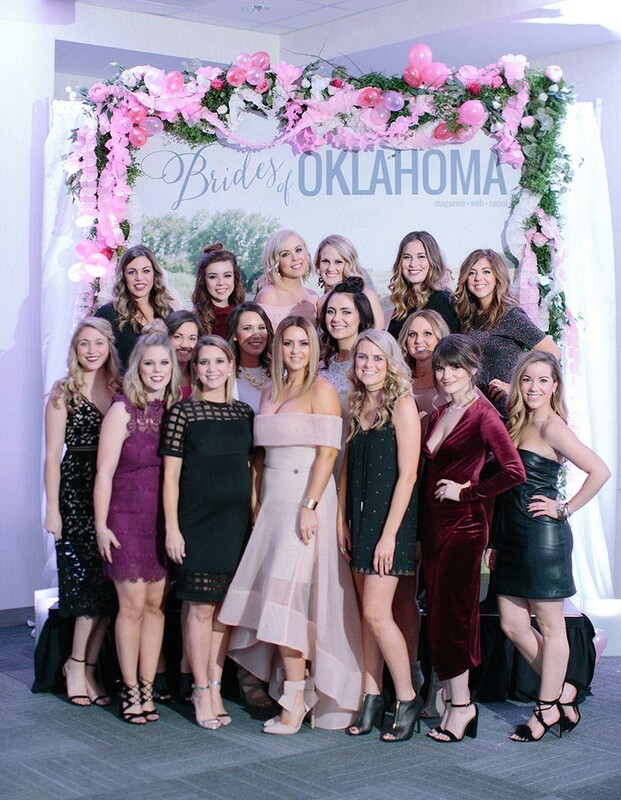 The entry hallway was lit with spotlights that told the Brides of Oklahoma journey in numbers, and all of our guests had a blast in his slo-mo booth! 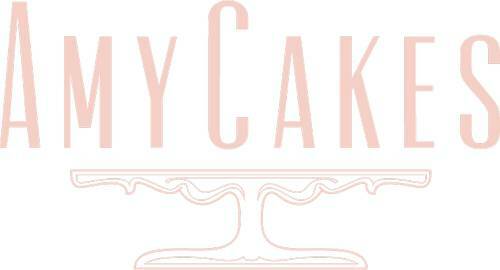 We knew we wanted a birthday cake to mark this important milestone in the magazine’s life. 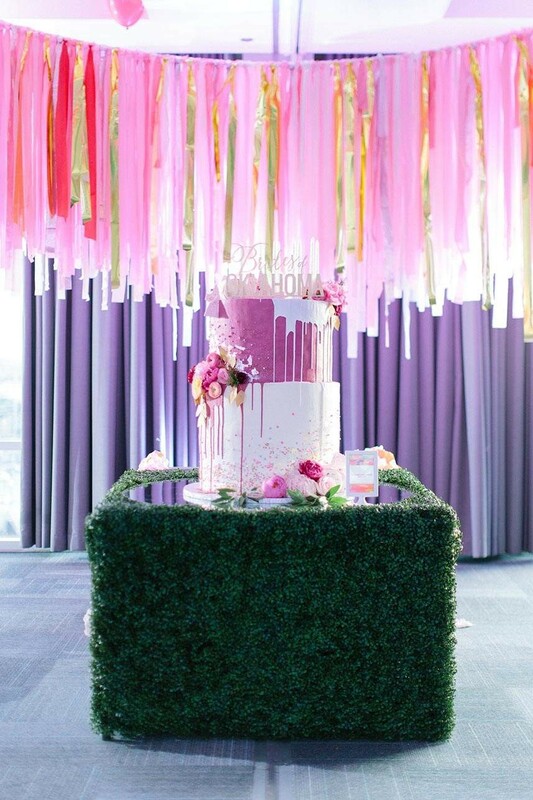 When The Round House Bakery proposed a larger than life, five-foot birthday cake, we knew this was going to be special! 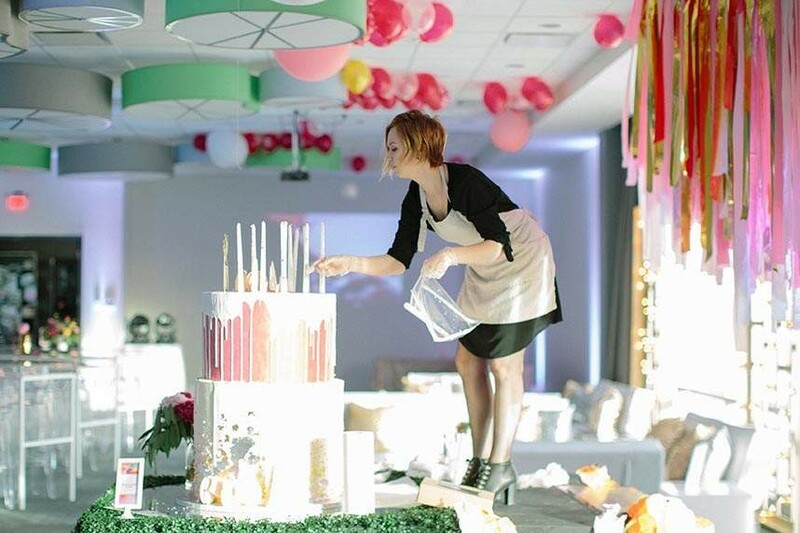 Taking 500+ eggs to make and weighing in at over 100 pounds, Kayla, amazing baker and brains behind The Round House Bakery, created a flawless vision that served up to 750 guests. 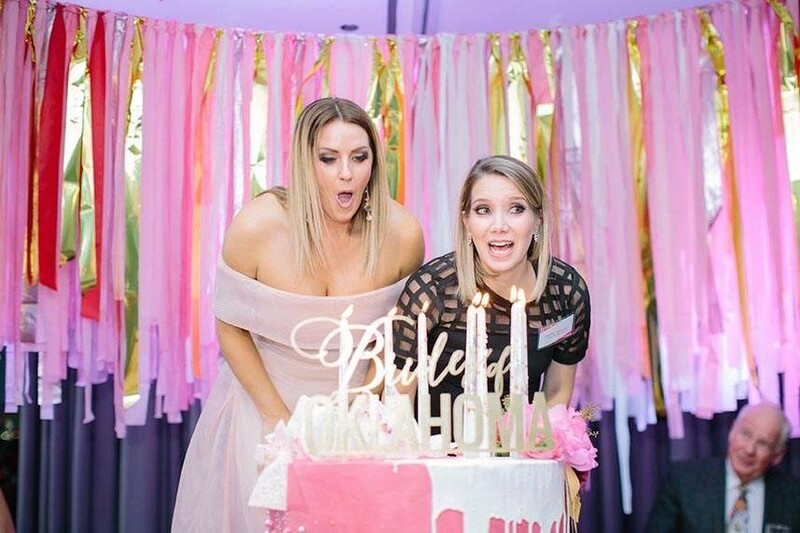 Hot pink and adorned with giant macarons, floral and oversized candles, we were so proud to surprise Kami and Ashley with a “Happy Birthday” serenade mid party! Speaking of oversized and over the top, we knew we could trust Vault Ice with the wow factor! 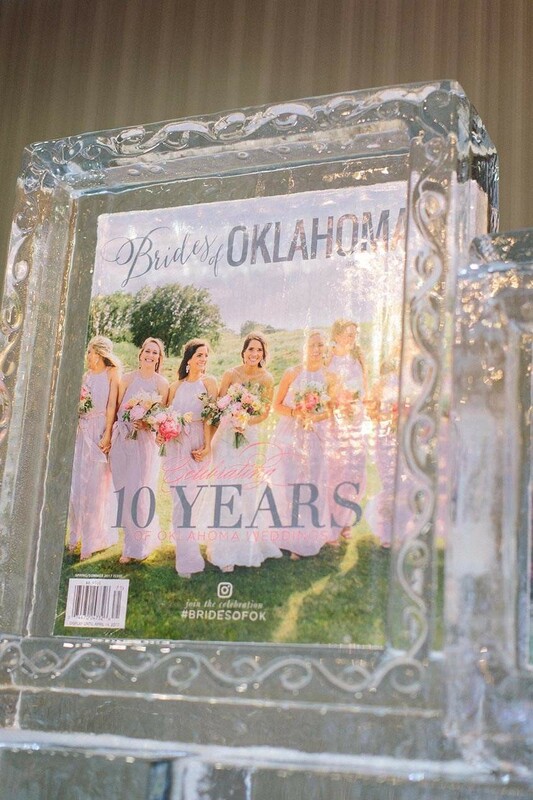 We wanted to display all 19 covers from the past issues of Brides of Oklahoma, and Vault Ice created a 9 ft tall x 15 ft long ice installation to house them all! 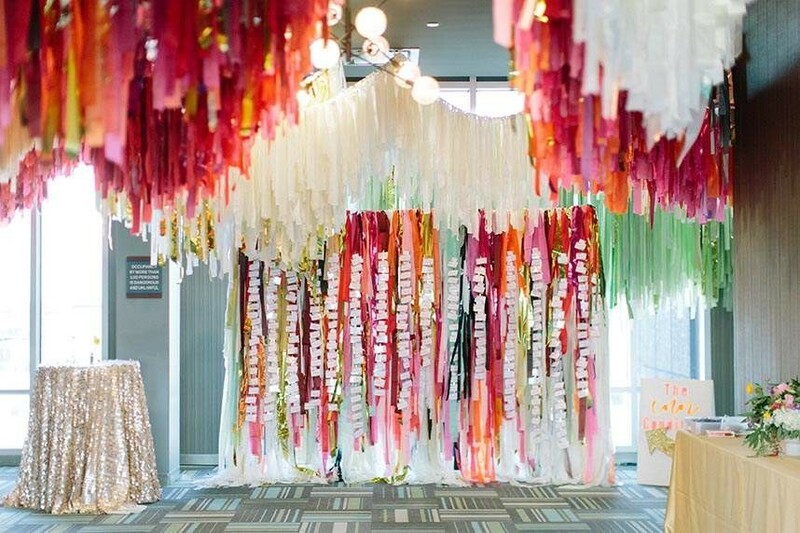 As one of the first things our guests saw when they rounded the corner into the main event space, we can’t measure the buzz that was created from this amazing focal piece! It was certainly one of the most photographed elements of the evening, popping up on social media almost instantly. 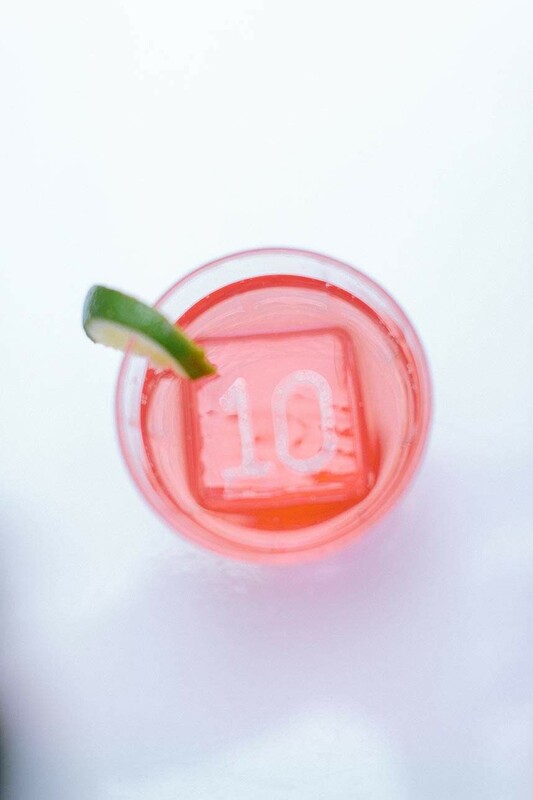 Vault Ice is so in tune to details, they also provided ice blocks with the number “10” etched in to them to accompany our signature cocktail! 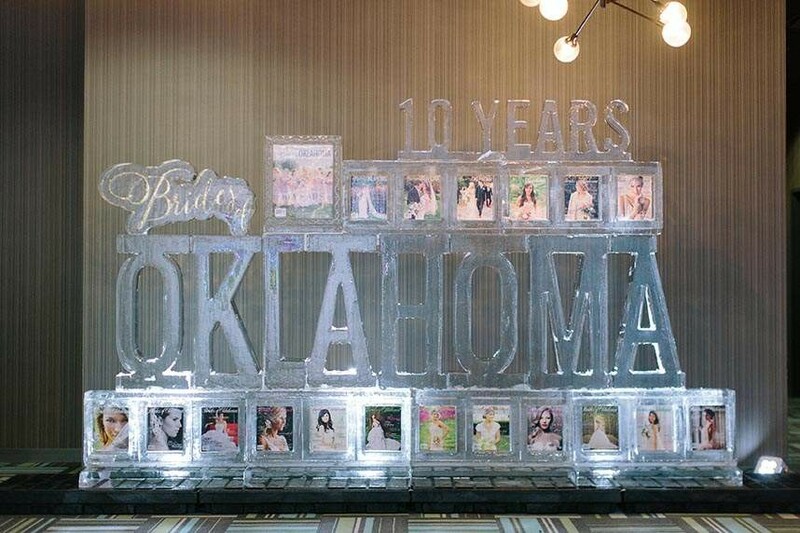 Huge thanks to Vault Ice for adding these amazing touches to our birthday event! The overarching theme of the event was “Good Vibes” as stated on a giant grass rug leading in to the experience room. 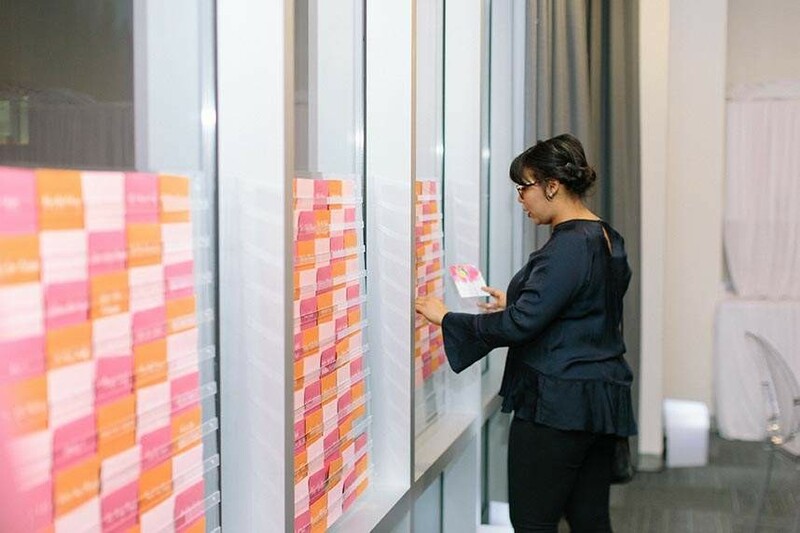 In this room, we had several interactive pieces for our guests to partake in, one being our Good Vibes envelope wall! 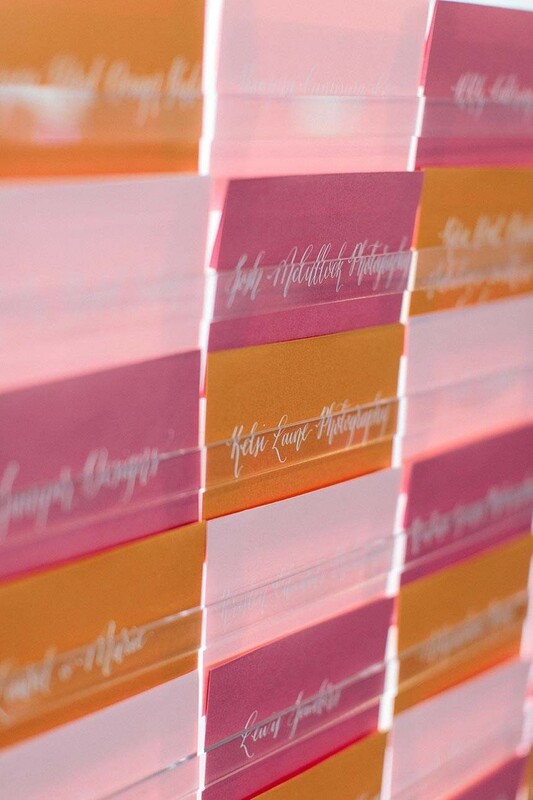 Each company had an envelope on the wall provide by No Regrets and calligraphed by Celeste Paper Co. Guests were to write a “good vibe” or goal for themselves for 2017 or send sweet messages to their friendors! We will mail them out throughout the year to remind our guests to feel the love from this incredible event! 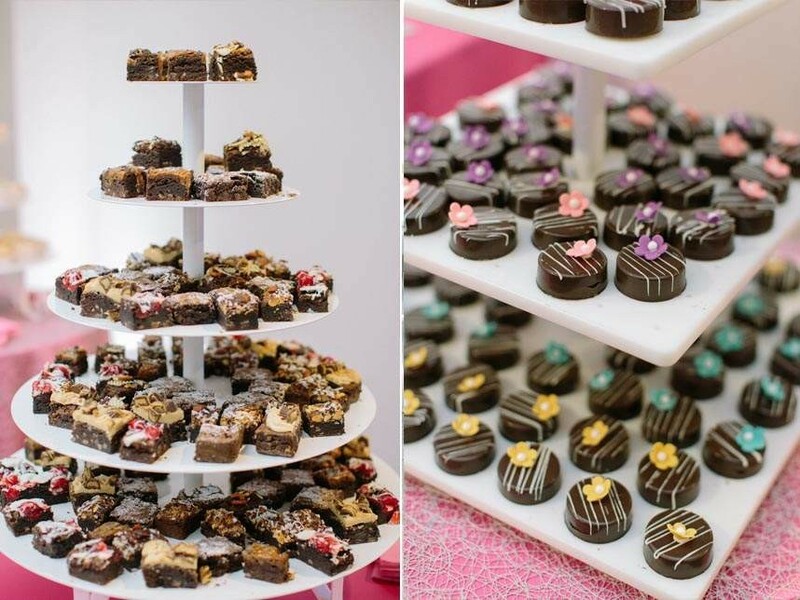 This room also housed our mini dessert display from six of our amazing bakery partners across the state. 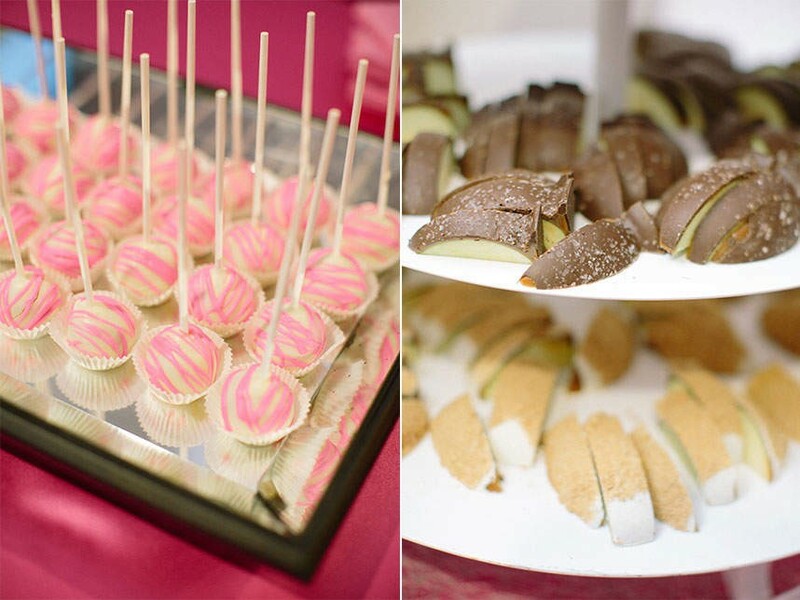 Guests were able to sample the desserts as they lounged and watched scenes and images from the making of Brides of OK since 2007 or they were able to box them up to take home as favors. 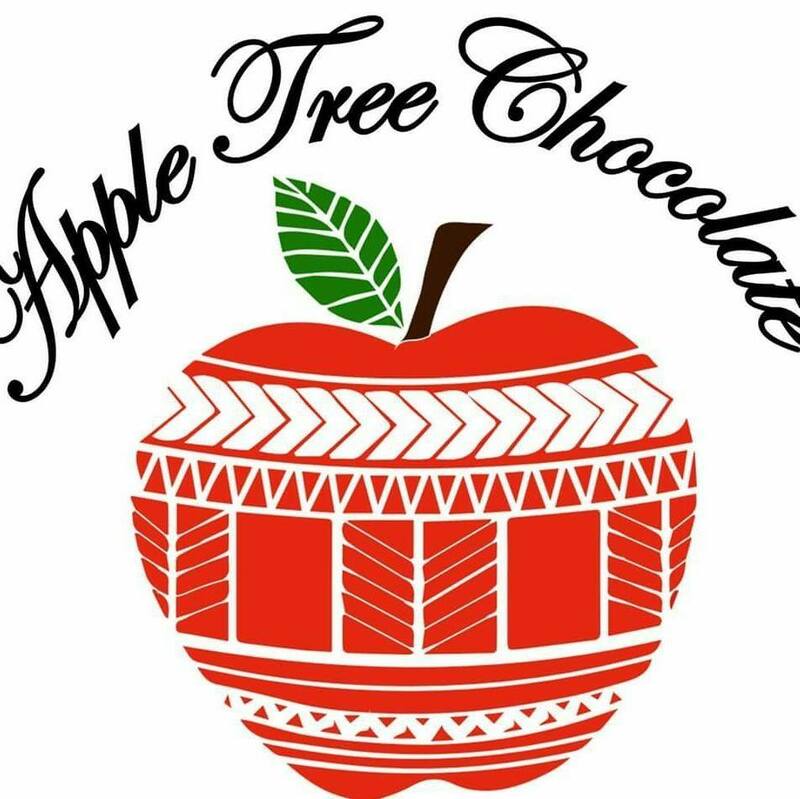 Big, big thanks to Amy Cakes, Andrea Howard Cakes, Apple Tree Chocolate, Mishelle Handy Cakes, Ms. Laura’s Cakes and You Need A Cake for providing the yummy treats! 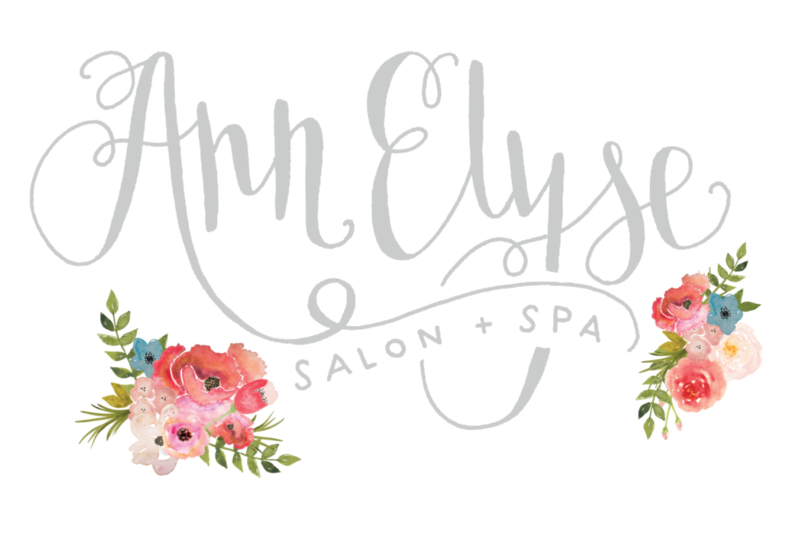 Atherial Makeup and Skin Studio along with AnnElyse Salon and Spa were responsible for making our team look bomb. Thank you ladies for the gorgeous hair and makeup services! We certainly all felt like a million bucks! We could go on and on about the incredible details of this amazing night. Guests had a blast in the Bojangle Booth and got to take home fun photo strips to commemorate the evening. 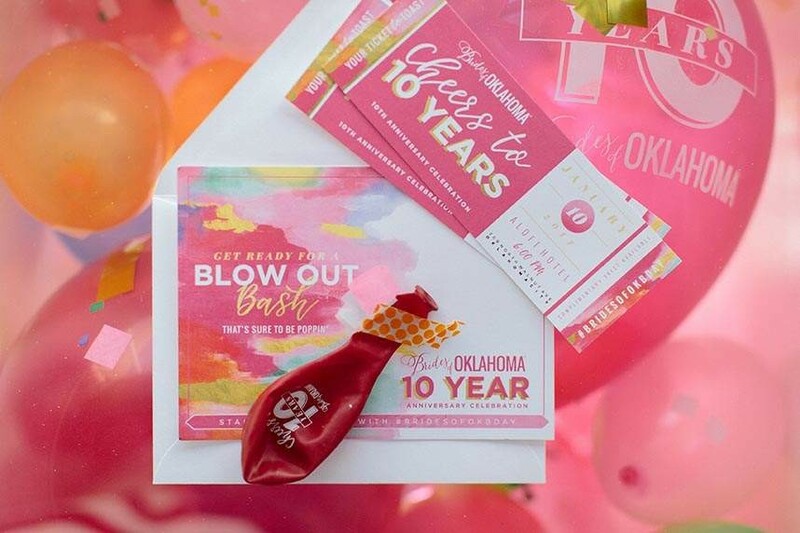 Each guest also left with a goodie bag filled with a copy of the new issue and treats from Prairie Letter Shop, Modyen Designs, Pure Barre Edmond and Blue Label Bartending. Paper + More branded our event with specialty napkins and commemorative cups. Huge thanks to Sooner Valet for working their tails off with valet parking for all of our guests. Parking at event spaces downtown can be challenging, but the Sooner Valet team are absolute pros! 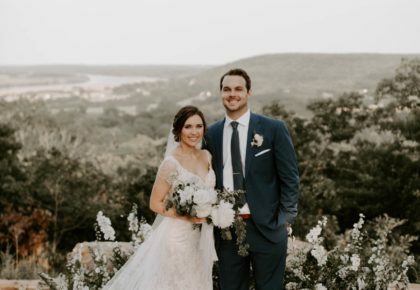 We also want to thank Tyler + Lindsey for all of the amazing photos and the recap video (below!). 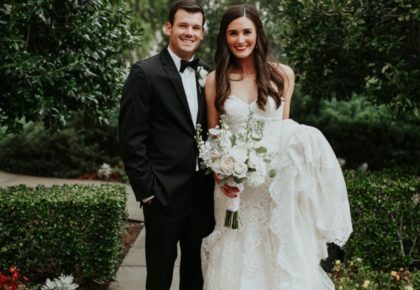 This extremely talented husband and wife duo are long time partners of our sister publication, Brides of North Texas and we knew they were the perfect team for the job of capturing our anniversary event perfectly! What a truly incredible night! 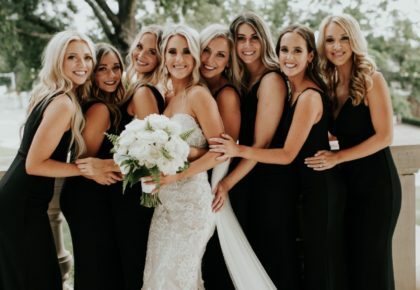 We couldn’t have done it without the many talented partners and friends listed above and we certainly wouldn’t be where we are today without our amazing following of local brides! 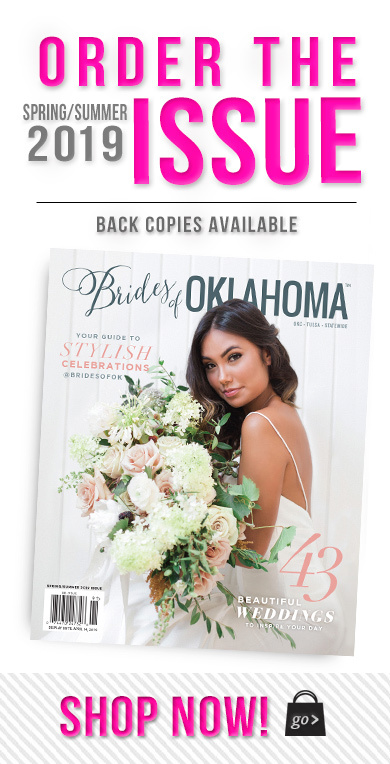 Thank you for trusting the Brides of Oklahoma name when planning your wedding! 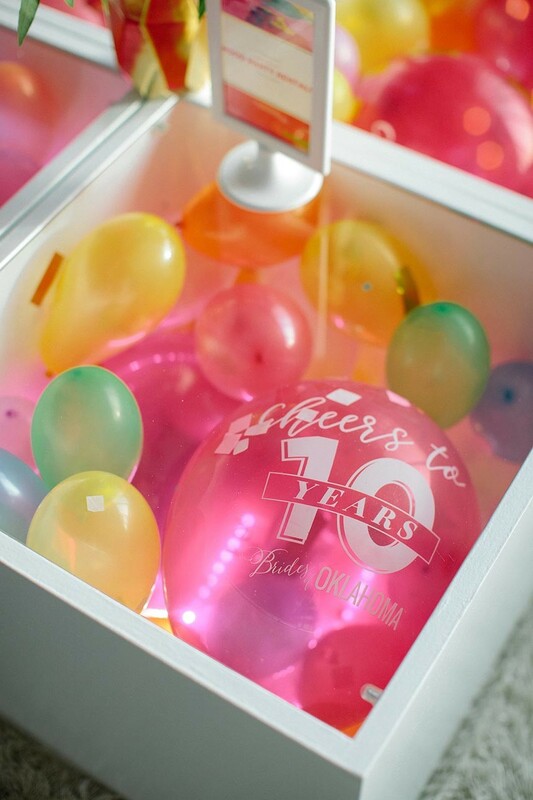 Cheers to another fabulous 10 years!